Sour Kraut, aka Tim Pfeiffer, began his thru-hike of the Appalachian Trail on February 21 from Amicalola Falls, Georgia, hiking the 8.5-mile approach trail to Springer Mountain. 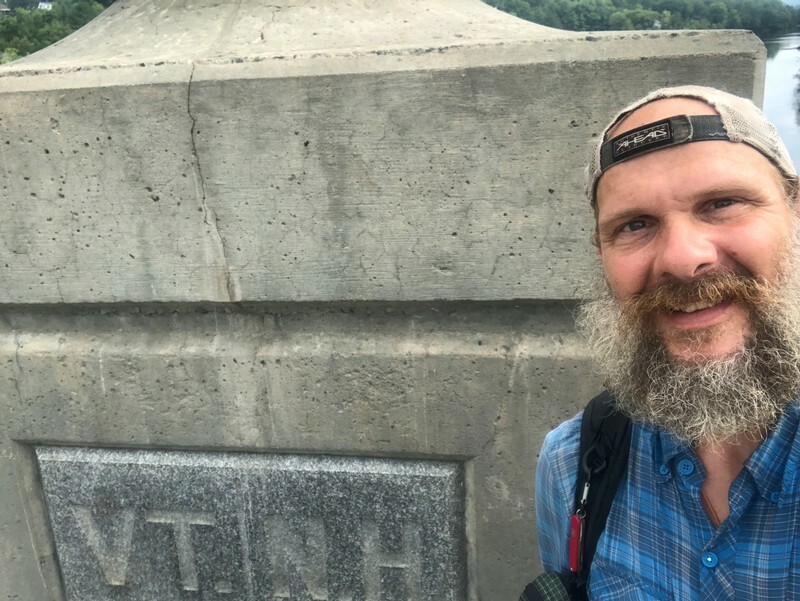 Sour Kraut is a man of few words and his last written post in his online journal was May 17th when he reached the 1000-mile marker of the trail. However, Sour Kraut posts photographs about once a week. He seems to provide a visual post at the border of each new state. On June 13 he posted a shot from the New Jersey/New York border; then the June 19th post captured the Shenandoah Mountain in New York; a selfie in front of the Connecticut/Massachusetts border was shared on June 28th; the 4th of July was celebrated with a photo at the Massachusetts/Vermont border; and then this past Monday (July 16), Sour Kraut posted a posted a photo (dated July 15) of himself crossing the bridge over the Connecticut River from Vermont into the state of New Hampshire. Since Sour Kraut posted his last set of photos on July 4th, he has hiked 250 miles averaging about 21 miles a day. 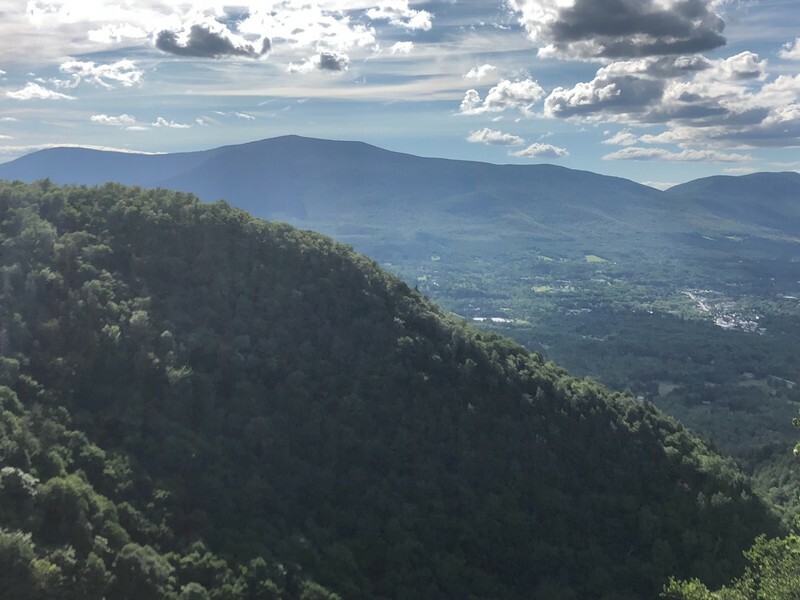 I have included several of his photos to give you an idea of his hike over the past 100 miles: Prospect Rock over-looking Manchester Center, VT (mile 1642); Bromley Mountain (1650.2); Killington Peak (1690.7) and the bridge at the Connecticut River (VT/NH border). Sour Kraut has been on the trail for 138 days and has trekked at a pace of just under 13 miles a day. The last two states of the Appalachian Trail are comprised of about 450 miles. Sour Kraut has the most difficult terrain still ahead of him as the New Hampshire and Maine include the White Mountains, Mahoosuc Notch (and Mahoosuc Arm), over a dozen streams to ford, and the 100-Mile Wilderness. Because Sour Kraut is a little selfish with his words, it is hard to know much about him. 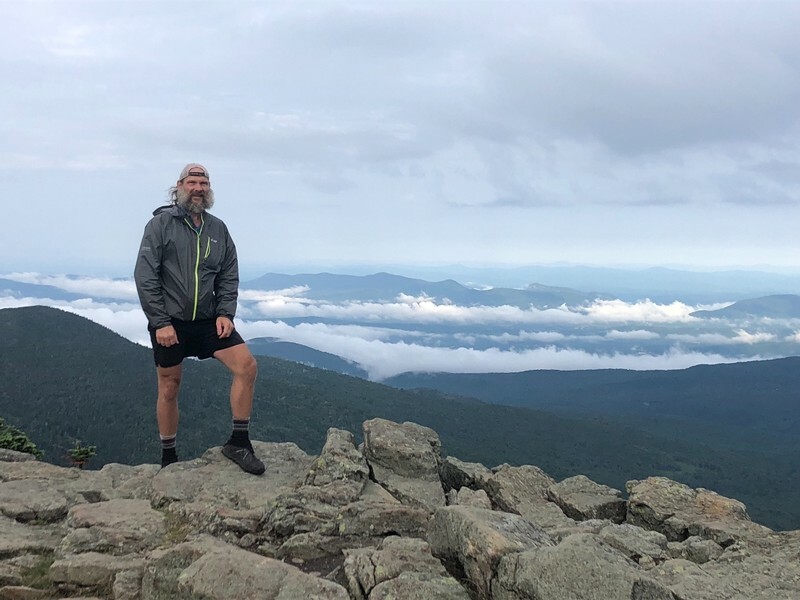 He has shared in his profile, however, that he is hiking the Appalachian Trail in memory of his father and in honor of those still fighting ALS (Lou Gehring’s disease). 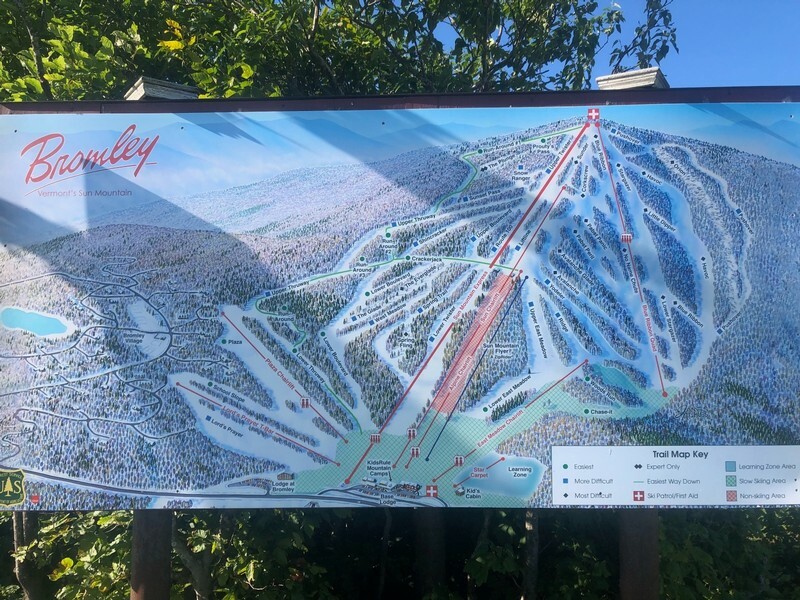 I hope that Tim gains a measure of peace and comfort with each memory of the trails he connects the miles with the thoughts of his father.